W. Luther Jett is a native of Montgomery County, Maryland and a retired special educator. 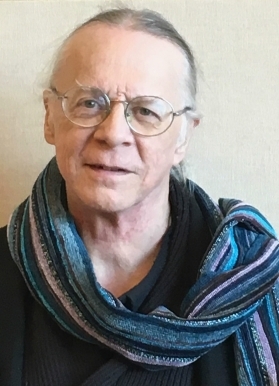 His poetry has been published in numerous journals, such as The GW Review, Beltway, Potomac Review, and Little Patuxent Review as well as several anthologies, including My Cruel Invention and Proud to Be. His poetry performance piece, Flying to America, debuted at the 2009 Capital Fringe Festival in Washington D.C. He has been a featured reader at many D.C. area venues. He is the author of two poetry chapbooks: Not Quite: Poems Written in Search of My Father, released by Finishing Line Press in the fall of 2015, and Our Situation, released by Prolific Press, summer, 2018. © 2018 W. Luther Jett. All rights reserved.